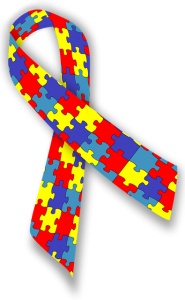 April is Autism Awareness Month, and we at TLC for Kids support Autism Awareness in our communities. In 1943, psychiatrist Leo Kanner observed 11 children who he described as having a desire for sameness and social withdrawal. He also claimed these children had speech and language problems, particularly speech delays and echoing mechanisms. Kanner used the word “autistic” to describe the characteristics of these children who seemed not to posses an ability to relate to people. Today 1 in every 68 children is diagnosed with Autism, as reported by the CDC in 2016. The St. Louis Chapter of Autism speaks says that a new case of Autism is diagnosed every 11 minutes. Obviously there is a great need to get the word out about Autism and how we can all help. Finding childcare for a child with Autism can sometimes be difficult. Parents want to find a babysitter who has the the experience and the know how to work with a child with special needs. TLC For Kids has babysitters and nannies who have experience caring for kids on all levels of the Autism Spectrum. Our team of Special Needs providers have attended seminars on Autism, taken OT or PT classes, or are teachers and nurses with experience. If your child has Asperger’s, or PDD-NOS we can also help. Contact us 314-725-5660 to learn more about our Special Needs providers and reserve a sitter today. Original article appeared April 2013, updated with current statistics. The nanny world is full of resources and information for nannies, parents and agencies. We’ve pulled together 5 of our favorites that we think you should be checking out for the information they provide. Regarding Nannies. Created by industry veterans, this site brings together the best of what nannying has to offer. From Monday Moxie to Financial Friday – there’s something for everyone every day of the week. Looking for tips on how to talk to talk to your employer? Or are you looking to transition your job? How about giving a shout out to your favorite nanny for NNRW? International Nanny Association. The longest running nanny organization serving the in-home child care industry, INA bring together all aspects of this industry – nannies, newborn care specialists, parents, agencies, training programs and service providers. With Recommended Practices for Nannies to the INA Nanny Credential Exam, the INA has it covered. Check out their resources for Parents and their annual conference, this May in Chicago. Nanny Counsel. NC is a fresh voice in the nanny community. Practical tips and advice, along with access to a free Nanny Contract. Nanny Network. NN has been around a long time and their listing nanny and parent resources is extensive. Check this site out for help on questions to ask, tax and payroll, and much more. Practically Perfect Podcast. The musings of two veteran nannies, Lora Brawley and Sue Downey, they bring hot topics in the industry straight to listeners everywhere. Our guest blog comes from Tonya Sakowicz, Newborn Care Solutions, a mom to two school-age kids. She shares with us her tips for what NOT to share when it comes to children and social media. You’ve just had a baby—congratulations!! And everyone wants to know when the baby was born, where, how much they weighed and what you named them. And as a new, proud parent, you want to shout your new joy from the rooftops, right? Not so fast according to Social Media Safety Experts. Children are one of the largest targeted groups of identity theft because their information is so readily available. Because of this, it is often not until they are ready to take off for college and apply for their first credit card or a student loan that ID theft is discovered. And of course, there are the creeps. The ones who target young children or even just steal their photos and put them in places we don’t ever want them to be. It is up to us, their parents and their caregivers to protect them. 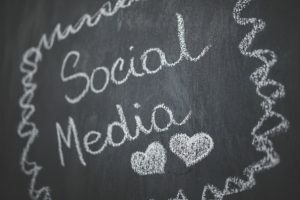 Everyone has to make their own decisions about how much information, but here are several things to consider before you hit the “post” button. Read all of Tonya’s tips on what not to share and learn more about Newborn Care Solutions. Now that there have been boundaries and ground rules established, the nanny and the work at home parent will need to talk about how to handle conflict/discipline as well as work on a schedule/routine that can be followed on a daily basis. When looking to hire a nanny, having a discussion about discipline philosophies and methods is necessary. Common areas of conflict are often discussed during the interview process, but if it’s not, this could cause issues between the nanny and work at home parent. Having regular, ongoing communication will help both parties discuss their ideas and preferences, but there will need to be a clear understanding of what the parent’s wishes ultimately are. A great way to keep the communication line open is by having an open dialogue type of meeting every month or every other week. 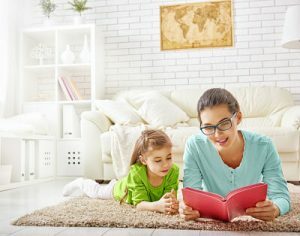 This could be a safe place to discuss how things are going, what expectations parents have for in-home policies or specific rules in the house that may be changing, and it will also give the nanny the space to ask questions or share any difficulties/successes she has had in recent days with the children. Read on to find additional tips on routine, work environment and avoiding micromanaging. HomeWork Solutions is one of the nations leading nanny tax and payroll companies. Are you going to Florida this spring break? South Florida is a great escape from the cold weather. Florida has so much to offer families this Spring. First thing on any families spring break list is the beach. One of the best things about visiting Miami, Fort Lauderdale, and West Palm Beach are the beautiful beaches! You and your family can enjoy the warm temperatures on the beach during the day. When evening comes hire a TLC for Kids babysitter to watch the kids so you can enjoy the South Beach night life. There is more to do in Florida than just the beach. Miami has some fun attractions for families too. Jungle Island is a popular place for families and features a unique petting zoo. Stop by the Miami Zoo to see the famous Miami Flamingos. Another great destination for the family is the Miami Children’s Museum. This museum is like no other because it features a two story sand castle! Spring break in Miami isn’t just for kids. Take the time to enjoy some couple time while on break. TLC babysitters are screened and ready to work in Miami, West Palm Beach, Boca Raton, Fort Lauderdale, and Tampa. Reserve a TLC sitter to come to the hotel while you enjoy a date night! Many companies are now allowing their employees to work remotely, which means they can work from home rather than heading into the office for a traditional work day. Telework for a parent has many benefits, but it can also prove challenging if you’re looking for nanny services. 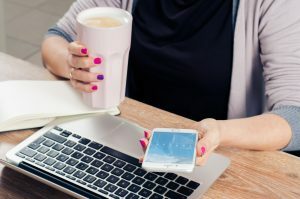 Finding a nanny that can navigate the ins and outs of working in a home with a work at home parent requires communication and because of the unique set up, sometimes a different set of rules. 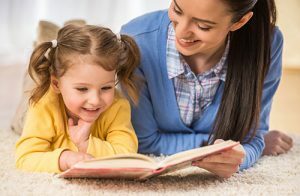 Many nannies that have had negative experiences while working with parents at home often indicate that there was an issue with lack of boundaries. For example, will they be walking around the home throughout the day or will they be inside of an office for most of the time? Proximity to the parent is something that will need to be discussed right away. Talk about the specifics and agree to boundaries and ground rules up front. This will be unique to each family and the parent’s jobs. Here are helpful tips on establishing boundaries as a nanny with a work at home parent. What are the three key boundaries to set when working with a work-at-home parents? Find out in part one of this two-part feature.